Welshman Elfyn Evans will compete in the second tier of the World Rally Championship for the opening two rounds of the season. The 27-year-old was not selected as one of M-Sport's main drivers for next season's Championship. 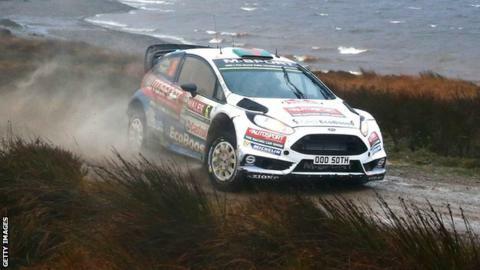 Evans will remain with Ford in a support category and compete in the opening two rounds at Monte Carlo and Sweden. Fellow Welshman Craig Parry will be Evans' new co-driver. Dolgellau-born Evans finished the 2015 Championship season seventh overall. But M-Sport managing director Malcolm Wilson signed Citroen driver Mads Ostberg and young talent Eric Camilli as his main drivers for 2016.